Do you want to do something extra's and not just donate? and qualities to support Stichting Bombo and her projects. You can for example give a concert, organize an exhibition or get sponsored for running a marathon you name it. You can contact us when you need any help by filling up the contact form below. 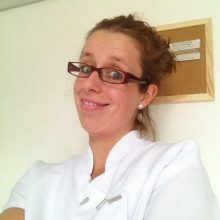 Esther van Tongerlo is an enthusiastic and friendly pedicure with her heart in the right place. She took the initiative to help Stichting Bombo in her own original way.